Now the tackle industry has nothing on us. 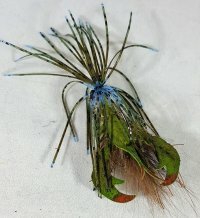 This is my version of a crayfish jig. 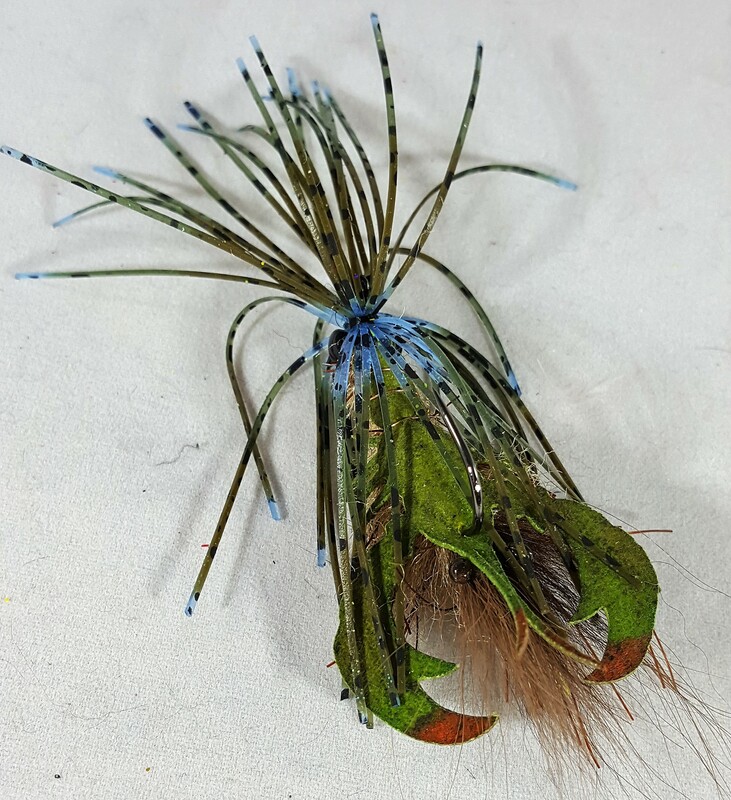 Rubber legs, Cohen's Crayfish Creatures dyed to perfection and a rattle. The bass don't even stand a chance.